The Incredible BMI "HAMMERHEAD GOLD Mk.5" reference power cable is a significant improvement over Hammerhead Gold Mk.4 in all aspects. HAMMERHEAD GOLD MK.5 improves the bass extensions while tightly controlled. The trebles are very extended and detailed with natrural articulation. Great dynamics and imaging especially in the midbass. There is exceptional depth in the soundstage with three-dimensional palpability. The midtones are full & lush and the treble is smooth with tremendous resolution. Natural vocals with rich and accuracy with layers of depth. BMI HammerHead Gold Mk.5 will bring the listener ultimately closer to the music resulting in a most enjoyable lifetime experience. The BMI HAMMERHEAD GOLD Mk.5's build quality is simply impeccable. 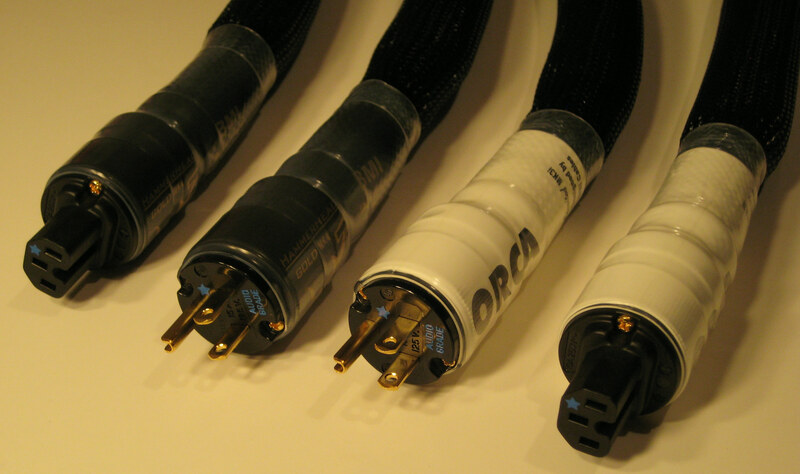 All Brand New BMI Cables for 2008, 2009, 2010 and 2011 are Cryogenically treated. Both the conductors and the connectors individually for maximum results. Each Brand New BMI Cable is Serial Numbered and includes an Original Signed Official BMI Cable Certificate to Authenticate product. This helps eliminate Fake & Fraudulent BMI Cable product. When buying Preowned BMI Cable product try to always get the Original BMI Cable certificate with your purchase. **Any Custom Length is Available - Upcharge $300 per ft.
**20A-IEC Available - Upcharge $100. **90 Degree IEC is available - Upcharge $50. BMI CABLES, Inc. is a Trademark established: 1996. Designing the World's Finest Audiophile Power Cables.